HEALTH CHECKUP – Each Student will undergo an annual medical checkup. 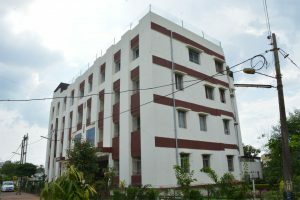 HOSTEL FACILITIES – Separate hostel for girls and boys are available. SECURITY – Round the clock security is available in campus Lady warden is appointed for girls hostel. 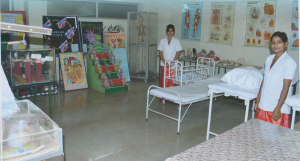 TRANSPORT FACILITY – The college provides bus facility to students for clinical practice and field visits. SPORTS – In tune with the objective of all round development of student various sports and physical development activities are encouraged among the students. Shri Chandra Nursing College (Inst.) campus is equipped for holding various events like cricket, basketball and table tennis, badminton etc. MESS – MESS run by the C.M. Hospital ensures refreshment for busy minds. GUIDANCE AND COUNSELLING – Every effort is made to provide homely atmosphere to all the students. The teacher guardianship scheme is being applied. If the students have personal problems, they can directly meet all the respective staff concerned. DRESSUP AND UNIFORM – The student are expected to dress themselves properly appear smart and decent and present themselves properly in the classroom, clinical mess and all other place in the campus. The students are required to wear the uniform as decided by the college in college and clinical areas. EDUCATIONAL TOUR/PICNIC – Educational excursion picnic are arranged from time to time. 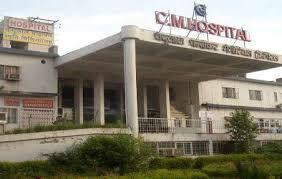 CCM Medical College & Hospital , Kachandur, Bhilai, Durg. Shri Chandra Nursing College (Inst.) library is a welcoming place for study and reading. The school library is to support the student and teachers by providing access to current adequate and appropriate information resources. The library encourages the love of reading and development of student’s independent learning skills. The Shri Chandra Nursing Institute has facility to meet the students’ train and meet scientific needs. Trained and experienced teachers provide both theoretical and practical lessons for students to help them navigate a rapidly changing technology driven world. 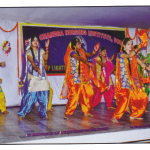 Extra Curricular -Beyond their classes, students of Shri Chandra Nursing College (Inst.) will participate in a wide array of integrated cultural activities.To cultivate varied interest, a strong academic foundation, is complemented with a rich selection of co-curricular activities.